2. One pilot (Captain Jefferson) and one passenger were killed when a machine came down in the Channel owing to bad weather. The report of the crash incident in The Times of the following day. His passenger was a Jewish gentleman who Jefferson was ferrying to Palestine, I believe. Reading it, I had the distinct impression that it was all rather hush-hush stuff and that it had only come to light because of the unfortunate crash! Perhaps the 'Communications Sqd' dealt in that kind of clandestine work. Planning for the first permanent RAAF involvement in Northern Australia began in 1937, and by late December of that year, had reached the stage where design drawings for an Air Station to be established at Darwin were sent from the Defence Department to the Department of Interior. In April 1938, the Chief of Air Staff advised Wing Commander George Jones, then Director of Personnel Services at RAAF Headquarters at Laverton, and Squadron Leader Charles ‘Moth’ Eaton, then Station Headquarters Staff at Laverton, that they were to be appointed Commanders respectively of the new Northern Station and the Squadron. It was anticipated that this would come into being as early as September. These two Officers worked together over succeeding weeks in developing plans for the Station, and in mid-May flew to Darwin in Avro Anson A4-1 to carry out an inspection on the ground. Despite the time-frame originally envisaged, matters progressed slowly. It was not until 21 February 1939, that the Air Board had estimates from the Works Branch of The Department of Interior for the construction of major buildings of the new Base. The Board was horrified to discover that the cost of two hangers was £95,000, but the Minister approved the project on 8 March 1939, directing that the Board’s concern regarding the cost should be referred to the Department of Interior. By this time W/C Jones was posted to RAAF HQ, but S/Ldr Eaton was still appointed to command No 12 General Purpose Squadron, when it was formed at Laverton on 6 February 1939. Eaton was promoted to Wing Commander in March, and his Unit Equipment Officer, Flying Officer Arthur Hocking was ordered to form the Squadron immediately, and prepare to proceed to Darwin at short notice. The new Unit was rapidly built up with equipment and personnel, and a week after formation, had a total of 14 officers and 120 airmen, along with 4 Avro Ansons and 4 Hawker Demon fighters. Preparations for the move north continued throughout the following week, and on 8 March, 250 beds were shipped on the steamer Montoro, followed a month later by 100 tons of barracks equipment on the Marella. Three trucks were also dispatched, and other advance stores were packed in readiness for shipment. Delays continued to be experienced due to a shortage of aircraft. Four more Avro Ansons were awaited to complete the Squadron establishment, but it was not until the end of May that a further 3 machines were allotted from No 1 AD. On 1 July, the move to Darwin finally began with the dispatch of an Advance Party of 30 NCOs and airmen. This group under Flying Officer Hocking, left Melbourne on board the Marella, being farewelled by 5 Avro Ansons and 3 Hawker Demons of the Squadron, flying in formation over the vessel. In Sydney the party transferred to the Montoro for the leg to Darwin, and was joined before departure by Flying Officer William Frogatt, the Unit Barracks Officer, who travelled up from Melbourne by train. Arriving at their destination on 24 July, the 32 members of this first element prepared the way for the drafts of personnel which were to follow. Until the buildings of the permanent station, were completed by the Department of Interior, and available for occupation, the Squadron had to be accommodated in a temporary camp of field-huts and Bellman hangers at Darwin’s Civil Aerodrome at Parap. This camp had to be specially constructed, and it was this work which was the primary task for the Advance Party. This arrangement had allegedly been arrived at with the Department of Interior, both to expedite the work and to provide RAAF personnel with experience in handling and assembling reserve equipment used by their Service. At a ceremony on 29 July 1939 the personnel of the advance party paraded for the Administrator of the Northern Territory, Mr Abbott, who formally welcomed them and turned the first sod at the site of the hutted camp. Meanwhile another party of 4 NC0s, (Sergeants H Hope and WC Hamilton with Corporals JL Truscott and JC Kane) had been sent by rail to Brisbane on 7 July 1939 for instruction in erecting Bellman hangers. Remaining until 3 August, when they flew to Darwin on board a QANTAS flyingboat, this group was accommodated in tin huts at the Acetate & Lime Factory, Cannon Hill in Brisbane, which proved to be excellent preparation for what awaited them at Darwin. Until the advance party had finished erecting living quarters, its members were housed at the old meat works built during WW1, by the Vestey Pastoral Company to process and export beef. The enterprise was unsuccessful as these works had been closed for many years. As Darwin was then a town with a European population of less than 2,500, the range of options in temporary accommodation for a large influx of servicemen was limited. In fact, the advance party did rather well in having the substantial buildings of the meat works to begin with. An Army artillery Unit had been sent to Darwin on HMAS Albatross to mount six-inch guns in defensive emplacements, and provide the town with a permanent garrison in September 1932. At that time FI/Lt Joe Hewitt of the ship’s RAAF detachment was intrigued with the lavish layout and potential uses of Vestey’s brick buildings. Darwin township, with its decrepit, ill-kept, corrugated iron buildings haphazardly fronting untidy dusty roads, could not compare with the prospects Vestey’s vacated meatworks offered with a clean up. Despite this, life in 1939 had a distinctly raw, pioneering feel about it, for the members of the advance party. The quarters in the meatworks buildings, which were shared with personnel of the Army’s Darwin Mobile Force, wore very basic. The Air Force possibly benefited from some adverse publicity given by a Sydney newspaper as to the ’shocking conditions’ borne by the Army personnel prior to the arrival of the advance party. Even so, things remained primitive. Airmen slept on the first floor, on beds placed where-ever they could be fitted in amongst the disused machinery, and avoiding large holes left in the concrete floor where chutes or machinery had been removed. These less than salubrious quarters were dimly lit with electricity from a diesel generator operated by the RAAF, which was turned off at 9 PM making it dangerous to move around after lights out. At 1030 PM on 9 September 1939, Air-Craftsman One PJ Hudson fell through one of the holes in the floor, sustaining injuries which led to his death on 12 September. He was buried the next day, in circumstances which graphically indicated the miserable conditions endured by the men. Another member of the unit, Jim Truscott, vividly remembers the primitive conditions under which the RAAF personnel initially slept, washed, ate and worked. He recalls that there were no entertainment facilities, and only Fanny Bay beach, or camping at nearby lagoons for recreation. On 20 August, orders were received from the Air Board for the Squadron Headquarters and the existing aircraft of ‘A’ and ‘B’ Flights to make the transfer to Darwin next day. The personnel of these Flights duly left Essendon on board a civil airliner, but the departure of aircraft was delayed due to adverse weather, and finally arrived 29 August 1939. The aircraft were housed in the Civil hanger, and the Bellman hanger already put up by the advance party. 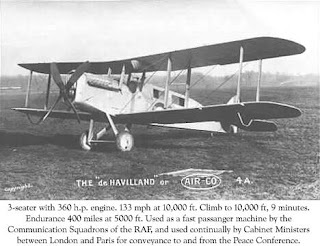 The arrival of the flying party and aircraft meant that the first air patrol out of Darwin was undertaken on 31 August. Back at Laverton, on 1 September, ‘C’ Flight received 5 Wirraway aircraft to replace its Hawker Demons. 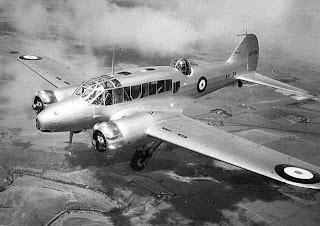 The next day, with war breaking out in Europe, these aircraft and another Avro Arson, set out on the trip north, and the same day 77 Officers and Airmen embarked at Melbourne to make the slower passage by sea around the coast to Darwin. W/T Operator 1 Mechanic. Posted to the squadron May 1939. “While the rest of the Squadron, and older units at Laverton were living high on the hog in the brick barracks close to the messes on the Station, poor old No. 12 Squadron, as a temporary unit on the Station, was housed in some old temporary hut from the. early days of the Training School, and a very long way from the messes and canteen, and the centre of life of the Station. No. 12 Squadron was formed with one immediate object in view, and that was to be the Darwin based section of the RAAF, and we were looking forward to shaking the southern dust off our shoes, and getting to grips with the realities of our tropical existence. If only we had known. While we were only in temporary occupation of our quarters at Laverton, our aircraft created just as much hassle for the fully occupied hanger space. As a number of the members of the Service were still WWI men, with memories of the rapid development of the Australian Flying Corps and RFC Squadrons, during the latter stages of that war, their decision to house our aircraft in Bessoneaux hangers was the obvious answer. These were a canvas hanger, with wooden trusses to support the canvas walls and roof. There was no lateral timber structure, all the lengthwise stresses being taken by canvas, and the two end trusses being held down to large pegs by guy ropes. Cec was an Armourer with the Squadron at that time, and vividly recalls the graphic and geological difference between the tropical North and the more comfortable southern States. Picture the scene, the area piled with this material, concrete stumps already point, whereas the miner or planter was more concerned with productivity. The philosophies of the missionaries and their more directed integration with the native, tended to estrange them from the other Europeans, particularly in the Mandated Territory where barriers of race and language were also a factor. Most of the native population in the explored or controlled areas, adhered to one sect or another. A native mission teacher lived in most villages, teaching the rudiments of his faith under the guidance of the nearest missionary. The depth of belief varied from token adherence to complete dedication, however the influence of mission teaching was toward friendliness for and trust in, the European. While the effect on the native of contact with whites has been studied by many learned scholars, the reverse effect rarely rates a mention in their dissertations. The Coastwatchers were conditioned by their experiences and association with natives. Europeans, who had lived four or five years in the Northeast Area, were generally known as Islanders. Constant dealing with native and having the authority over them, gave the Islander a habit of command, tempered with a sense of responsibility. While reluctant to doing menial tasks, an Islander rarely shirked any hardship or danger, leading by example. Most were economically secure, which encouraged independence and a certain amount of arrogance; tempered with a lip-service gesture of discipline and conformity. Their own knowledge and experience indicated to them that order and system were necessary in the running of their affairs, but that enforced discipline was an impediment to natural progress. They could quickly evaluate a situation on its merits, and were intolerant of pompous officialdom. They lived an exaggerated lifestyle and sometimes had less than harmonious relationships with their peers. However, they showed a united front to an outsider and were difficult to deal with. A feature of many Islanders was the deep friendships that developed between individuals over the years; a bonding where mutual loyalty was the paramount consideration and a friend’s weaknesses were opportunities to help, rather than reproach. For all their acquired knowledge, it was impossible for any Islander to pass himself off as a native. The physical differences were such that any disguise would be penetrated in a short time, so Coast Watchers retained the form and status of Europeans when in enemy occupied zones. As can be envisaged, a supply organisation was necessary, particularly for food, as the jungle is no larder, at best it can supply enough to sustain life for a short time. With the Coast watchers in their scattered and often remote locations, it was the established relationships with natives, that maintained the supply lines, These supply lines, of necessity, were a clandestine operation, and their success, not only for the logistics, but in preserving the security of the Coastwatchers, was a clear expression of the mutual respect between the Islanders and the natives. The Islanders filled the key positions in the Coast Watchers. Without them the scheme would have been impractical and doomed to failure. Others played important roles, mainly on the staff. Later, some naval officers and soldiers from the Independent Companies (Australia’s Commandos), after gaining experience from Coastwatchers in the field, were able to extend the operations. Some of these learnt their skills to the point that eventually they could not be distinguished from the Islanders. These men supplied the youthful energy to the Islanders, who, while sometimes hard-pressed with the strenuous duties they performed. Never flagged in their dedication and commitment. With the drawbacks of inexperience and lack of training for a new form of warfare, the Coast Watchers to a man, put duty first and himself last.